Girl Gangs: Who are they for, and do I need one? My usual laid-back Sundays are now days of work, not rest. That means I have to do a whole day’s worthy of relaxing after I clock out. At this time of year, that means the sky is a sort of sleepy blue that makes me strain my eyes in my refusal to turn on the light. I turned to something randomly, then turned again because I had already read that section. What did I land on? Girl Gangs. Actually, Girls Gang (but I like Girl Gangs). It got me thinking, what is a Girl Gang, and do I need one? And after participating in the Women’s March: Do I really need a special gang of girls? Can all women be for all women, all the time? Big news, everyone. I’ve joined the Aunt club! My first nephew was born just a few weeks ago and I couldn’t be more in love with him. I could literally sit and watch him sleep for hours. Creepy? Yes. Insanely adorable? Absolutely. So when I heard EO Products was launching its Everyone Baby Collection in May 2016, I figured the timing couldn’t be more perfect. Their products are just the thing a conscientious parent (or obsessive Aunt) looks for when carefully choosing what to apply to their little one’s soft skin. And they’re great for adults with sensitive skin (or anyone who just wants a little bit of quality pampering!). And made with organic ingredients and natural scents! That’s a long list of a lot of good stuff, right? The awesome team sent me their Baby Wash, Baby Lotion, and Baby Wipes to test out (retail prices listed at the end). They have two gentle, soothing scents that smell light and baby-fresh: Calming Chamomile + Lavender and Gentle Calendula + Oat. I genuinely love both of these scents and would be hard-pressed to choose a favorite. If it was a do-or-die situation, I’d probably say I favor the Chamomile + Lavender. I usually don’t have an affinity for lavender, but in these products it’s subtle and smells like fresh meadow air, not a cloying lavender perfume. The Baby Wash contains coconut-derived cleansers for a natural bath time. As a big fan of the properties of coconut, it’s a great selling point. The Baby Lotion is hypoallergenic and made with nourishing and yummy things like olive oil and mango seed butter (I don’t know what that is, but it sounds kind of amazing, am I right?). I’ve included photos of the ingredients label for each of the products so you can take a longer look at what you’re putting on baby! We have yet to test the wipes but they’ll probably be thrown into a diaper bag since they’re the perfect small size for travel. They’re also flushable and have a sticky resealable flap that you can’t see in these photos. I would definitely suggest checking out these products for your wee one or for yourself if you like to avoid harsh chemicals in your skincare. They’re available in Whole Foods or on the EO Products website, and they’re definitely affordable (see retail prices below). They’d also make a great baby shower gift if you don’t have a bitty baby of your own to spoil! Let me know your thoughts on the new Everyone Baby line in the comments! Would you try them out? Just a heads up! : These products were sent complimentary for testing purposes. Thanks so much! This month, I was super excited to receive my first VoxBox from Influenster! 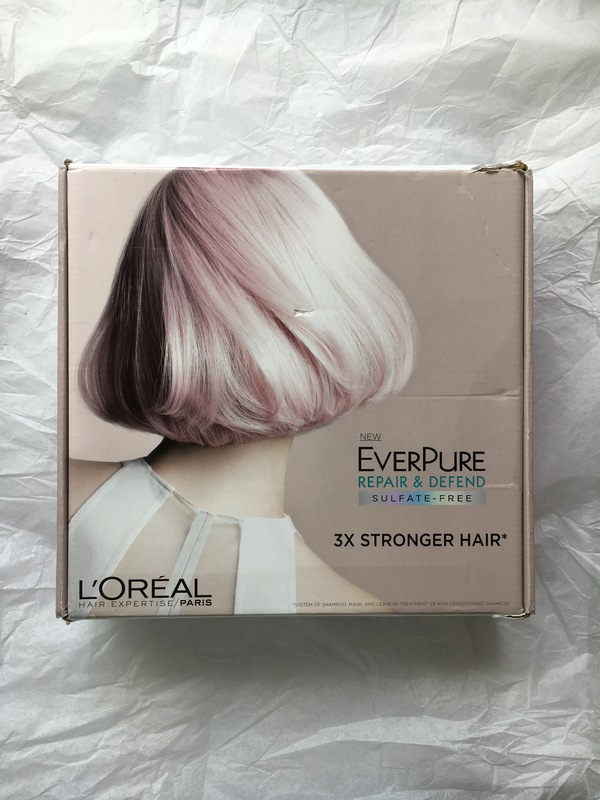 It’s a L’Oreal Paris box full of EverPure Color Care System hair care products, and I was eager to try them out on my sun-fried hair. I recently got back from an 11-day trip to Bali, Indonesia. Yes, it was amazing. And yes, I got a lot of sun. Great for my pale PNW skin, but bad for my already frizzy dry hair. 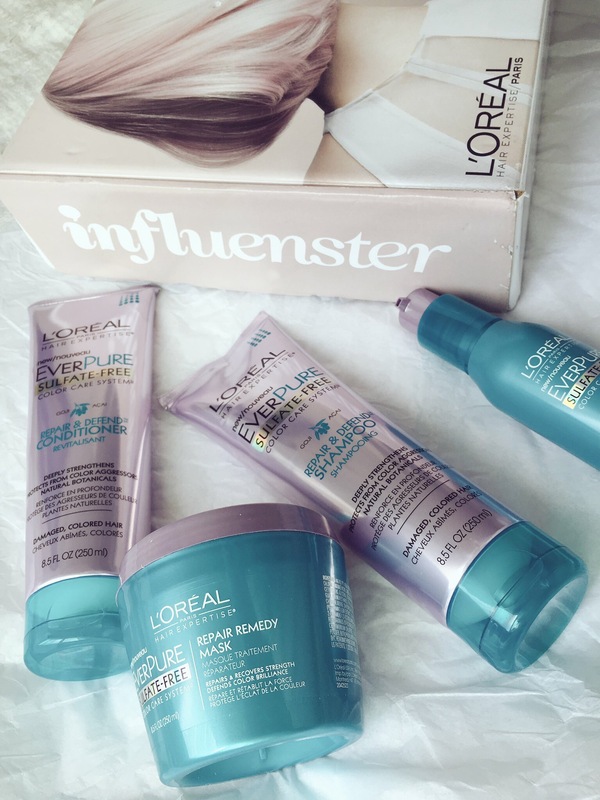 Luckily, my box from Influenster and L’Oreal was waiting for me when I got back home! There were four full-sized products in the box. The first products I tried were the Repair & Defend shampoo and the Repair Remedy mask, which is a deep conditioning hair treatment that you wash out. The thing I love about these products is that they’re sulfate-free. While sulfate-free shampoos often fail to create suds, this one lathered up nice and thick. I was pleasantly surprised! The shining star of this box was the Repair Remedy Mask. After I shampooed, I skipped the conditioner and just applied this hair mask. After letting it sit in my hair for about 4 minutes, I rinsed it out. 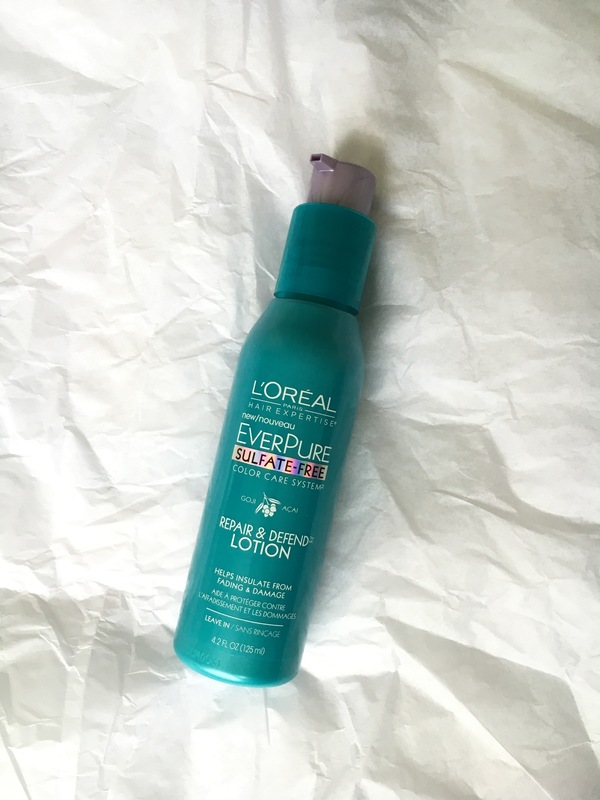 I didn’t feel its effects right away, but once my hair dried…wow! My normally frizzy, stiff hair was soft and shiny. And that’s not an exaggeration. 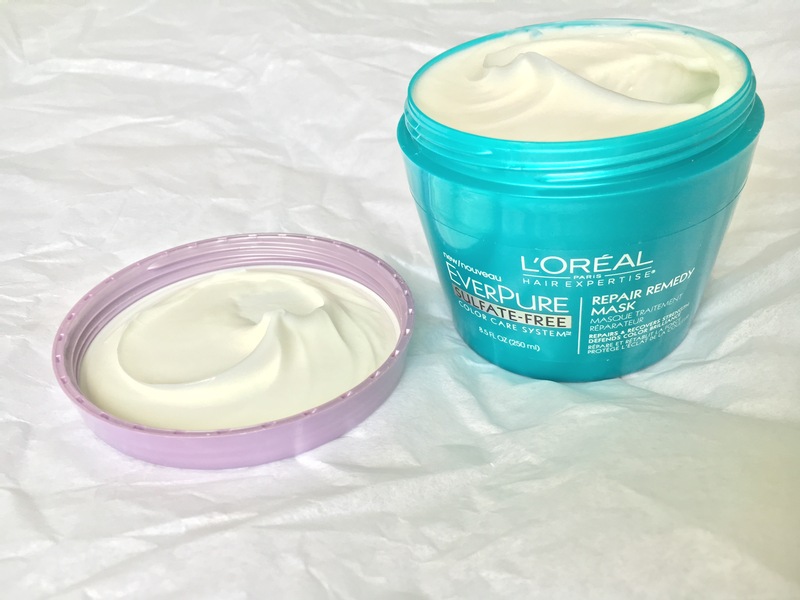 As someone who has had a lifelong struggle with frizzy, hard to manage, coarse hair, I really found this mask to be moisturizing for my locks. I also received a normal EverPure Repair & Defend conditioner as well as a Repair & Defend Lotion (essentially a leave-in conditioner). The downside of the shampoo and conditioner is that I really dislike the smell. The packaging says “gogi” and “acai” and I had high hopes that the products would smell fruity. Instead, they smell like a strong floral perfume. Because of the scent’s staying power, and my dislike of the scent, I probably won’t be repurchasing those two products. 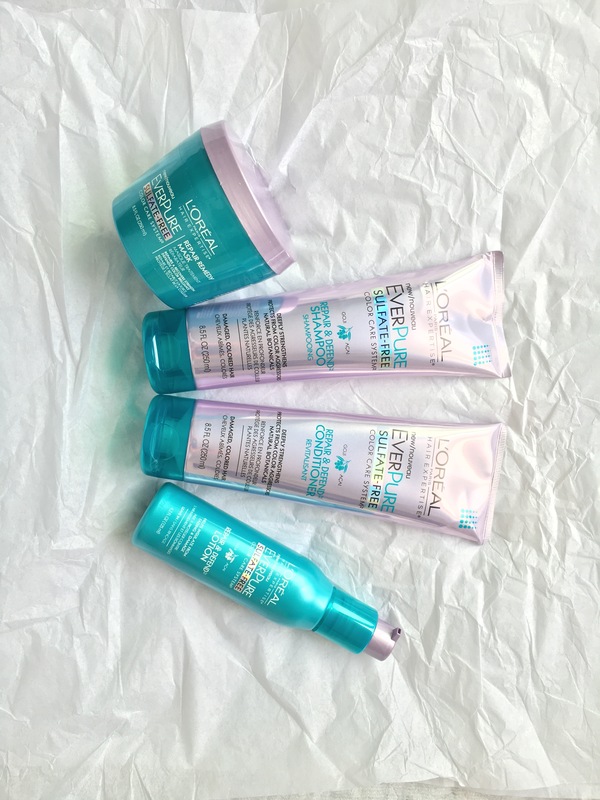 However, if you have color-treated hair and are looking for good sulfate-free products, I would definitely recommend giving these products a try. I will probably repurchase the hair mask (my hair slurped up all that conditioning and thanked me for it!). 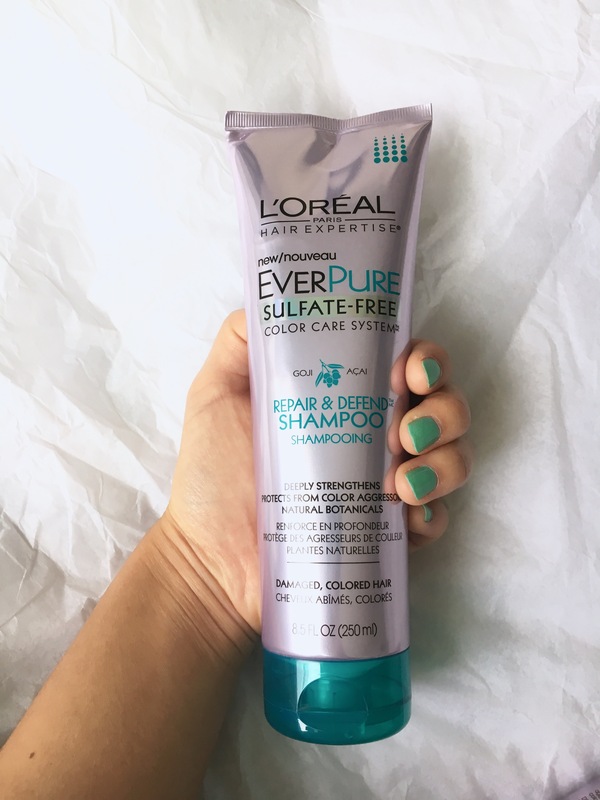 Have you tried any of the L’Oreal EverPure hair care line? What are your favorite hair conditioning products? Let me know in the comments! 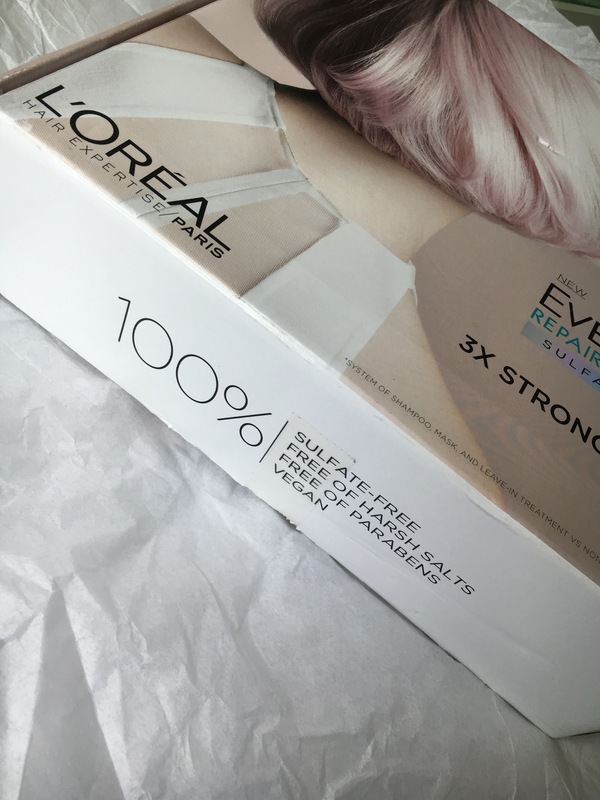 FYI: I received these products complimentary from Influenster for testing purposes. You can check out my reviews of each product below! Who’s on Instagram & Twitter? 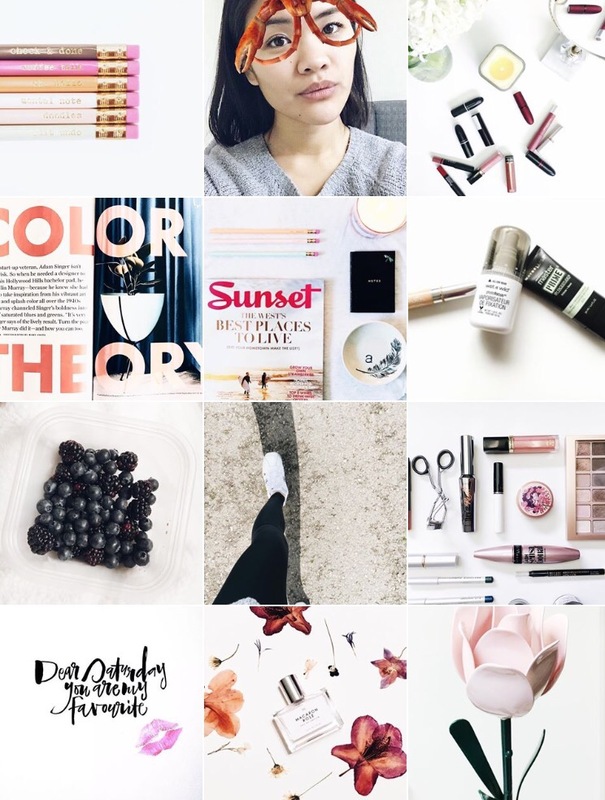 I’m feeling like discovering new feeds & people today. I’d love to connect with you all on Instagram & Twitter! You can find me at @imashleykim on both! Let me know in the comments if you’ve added me at either place so I can follow you back!